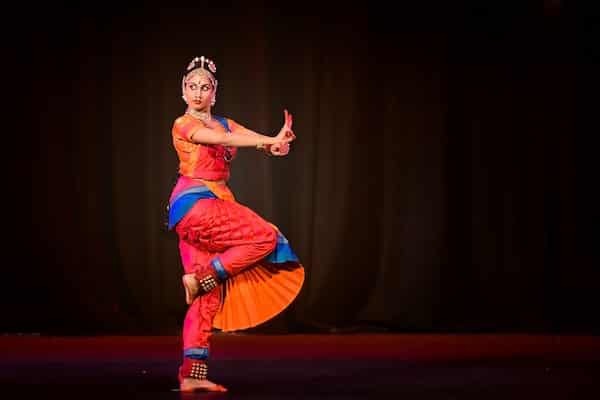 Although dubbed as an arangetram, the solo Bharatanatyam recital by Priya Murali exhibited dance maturity beyond one normally witnesses for debut events. 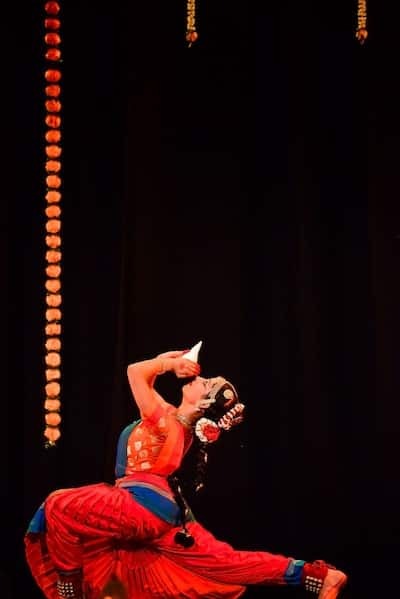 Priya, a disciple of Hamsa Venkat and her Samskriti School of Dance, performed at the Science Theatre UNSW on 3 March with live music accompaniments. Right from the first item, a mallari, one could notice sheer confidence and grace in Priya’s dance. Mallari is usually played as an accompaniment to temple processions when the temple deity is brought out. Rendered in different speeds in the lengthy misra triputa (11 beat) tala, it provided a sprightly start to a performance and a good alternative to the customary pushpanjali or alarippu. The way Priya ushered Lord Ganesha to the stage exhibited a grand beginning for the evening. In the jatisvaram, Priya demonstrated complex korvais effortlessly while illustrating Nature’s five elements. Here, her footwork stood out and was closely matched by the deft mrudangam strokes provided by the talented Pallavarajan Nagendran. 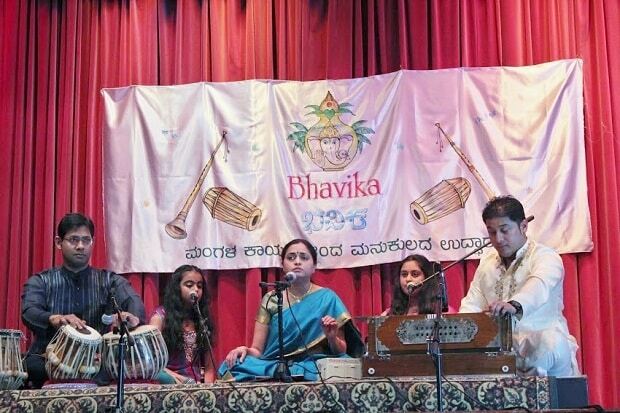 In Durge Durge, Priya’s abhinaya (art of expression) came to fore. Traditionally in the traditional bharatanatyam repertoire, abhinaya is only introduced during the varnam, but here it came in the form of Goddess Durga. We saw the myriad hues of the goddess – from the fierce Parashakti to the gentle Akhilandeswari. For the main item of the evening, Priya took up Prof TR Subramaniam’s varnam, Vanajakshi. Set in Telugu in the raga behag, Priya used the opening lyrics to detail the story of how Lord Vishnu prays to Lord Shiva at the Mannikandeswar temple (near Vellore, Tamil Nadu). Having damaged his sudarsana chakra (discus), Vishnu offers a daily offering of 1,000 lotus flowers to Lord Shiva. One day, Shiva puts Vishnu’s devotion to the test and hides two flowers. When Vishnu cannot find the last flowers, he uses his own eyes in their place. Pleased with such devotion, Shiva blesses Vishnu with his own chakra and replaces Vishnu’s eyes with lotuses. Priya’s demonstration of this scene was vivid and memorable. During the varnam jatis, Priya displayed a natural flair with precise aduvus (basic steps) and crisp teermanams. She seemed well within her limits and perhaps could have attempted slightly more complex jatis. The other stories narrated remained with the Vishnu theme and included tales of Andal, the contrast between the anger of sage Bhrighu and the compassion of Lord Vishnu, and the enlightenment of Purandaradasa. Kudos to Priya’s guru Hamsa Venkat for her choreography for the varnam which incorporated such diverse and interesting stories around a central theme. Special mention here should also go to the vocalist, Sai Vigneshwar from Singapore and violinist Bhairavi Raman, for bringing the lyrics and sancari scenes to life through their musicality. Since this was a tana varnam (as opposed to a pada varnam), the second half was more an exhibition of nritta (pure dance). Lines from Vallabhacharya’s Madhurashtakam were taken up as a coda to the varnam and provided a serene end to a breathtaking item. In the second half of the performance, a new approach to the theme of vatsalyam (motherhood) was explored. Priya compared a young mother to a female kangaroo and introduced the Aboriginal Dreamtime story of how the kangaroo got its pouch. An apt metaphor for a performance in Australia, Priya cleverly depicted the kangaroo’s characteristic hop with ease. In Bharatanatyam we are used to seeing deer, monkeys and other animals found in India, but a kangaroo was something new. Here, Bhairavi’s skill in violin improvisation shone as she wove together various ragas for the scenes. Next, Priya took up two javalis with contrasting reactions of the nayika (heroine). In the epic Natyasastra, Bharata mentions eight types of nayikas. In the first javali, Priya demonstrated the kalahantarita nayika as one deceived by her lover while in the second, she demonstrated khandita nayika as the enraged lover. Such pieces are difficult for younger dancers. However, Priya showed her maturity in being able to clearly reveal the differing characters through evocative emotion. In the abhang Pandhariche Bhoot Mothe, Priya juxtaposed the fear of the devotee against the devotion to the Lord. Sai Vigneshwar did full justice to this captivating piece with a haunting rendition. The penultimate item of the evening was Poochi Srinivasa Iyengar’s tillana in raga Poornachandrika. Another popular item in Carnatic music concerts, this was another opportunity for Priya to exhibit her finesse with brisk footwork and stunning poses. The evening concluded to the peaceful bhajan, Vaishnava Janato. As revealed in the closing speeches, Priya Murali first started learning dance in her teens. Over the years, she has taken a leading role in many Samskriti dance productions but never had a formal arangetram. Some twelve years later, under the watchful guidance of her guru and with a clear passion for Bharatanatyam, she completed an amazing solo performance. We look forward to many more of her performances in the future!